BMW blends SUV and coupe to turn two good things into one brutally better thing. Just as two wrongs don’t make a right, blending two good things together doesn’t always make a better one. Nutella and pickles: bad. Babies and evening gowns: bad. Ice cream and balsamic vinegar: actually really good. Also really good? BMW’s monster coupe/SUV swirl, the BMW X6 M. With its 567-hp twin-turbo V-8, all-wheel drive, and graceful yet powerful design, the X6 M is almost one of a kind. There are compromises, of course. The X6 M is not designed for comfortable family road trips or even back-seat passengers. Rather, it’s built for physics-defying speed and handling. Then there’s the Mercedes-AMG GLE63 coupe, the X6 M’s fiercest and only direct competitor. But did you see where we mentioned the Bimmer’s 567 horsepower? The X6 M sees only minor trim changes for 2018. Blind-spot monitoring, which was previously only available as part of the now-defunct Driving Assistance Plus package, is now a $500 stand-alone option or can be had as part of the $6100 Executive package. 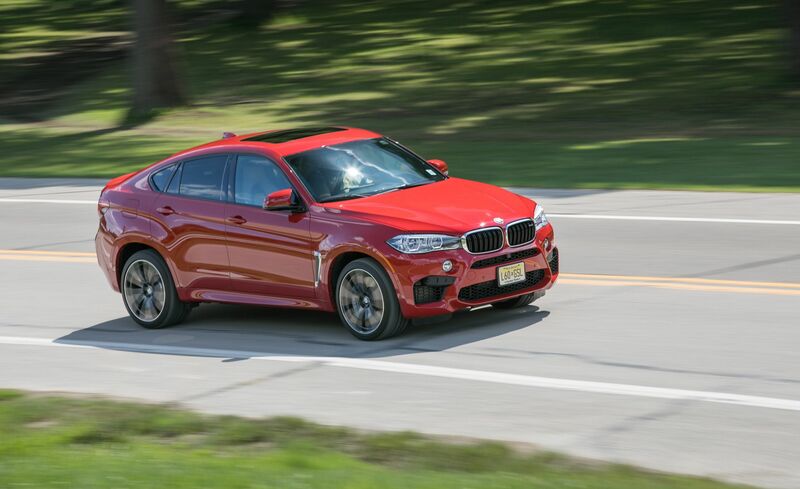 The X6 M underwent only a few changes for 2017. BMW’s iDrive infotainment system was updated, and the available Executive package grew to include wireless charging and a Wi-Fi hotspot. Buyers were also given the opportunity to choose customized colors for the car’s exterior paint and interior leather trim. Buyers will likely add (begrudgingly) the $6100 Executive package, which includes wireless charging and a Wi-Fi hotspot and is the only way to get heated rear seats and ventilated front seats.